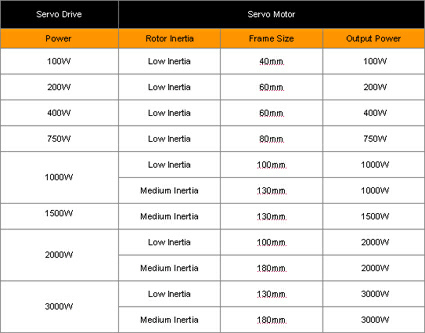 The A series is an omnibearing integrated servo system with advanced functions. Not only pulse commands and analog voltage signal control, the A series also provides internal point-to-point position control mode (8 internal programmable registers) and offers various internal control functions such as: indexing, feed step control function, internal auto-running control mode, and move to Home function, etc. for a vast range of applications. In addition, the A series implements Modbus communication protocol as a standard, to perfectly meet the requirements of motion control applications for multiple points. 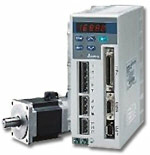 The A series servo system provides a better solution for industrial processing machinery and motion control equipment. Programming is done via the built-in keypad or using Delta’s free Windows® based software where the user can store, teach, and monitor the operation of the servo system. Purchase your Delta ASDA-A AC Servo Motors today!